Costs – Consider not only the cost of the fryer itself but the long-term costs involved with commercial frying. Gas usually costs less than electricity over time, but electric fryers perform better on energy efficiency. Size – When it comes to size, ask yourself these basic questions: How much food do you want to fry at once? How much space is in your kitchen for a fryer? How much sediment do you want to collect before it’s time to clean? Fuel Type – For many customers, the choice between gas and electric units will be based on the current kitchen setup. If you’re buying a brand new commercial fryer gas fryers usually cost less to run over time but are generally more expensive upfront. Gas fryers also usually heat up more quickly and can get to higher temperatures than electric units. Ease of Use – Efficiency in the kitchen is one of the most important design features. 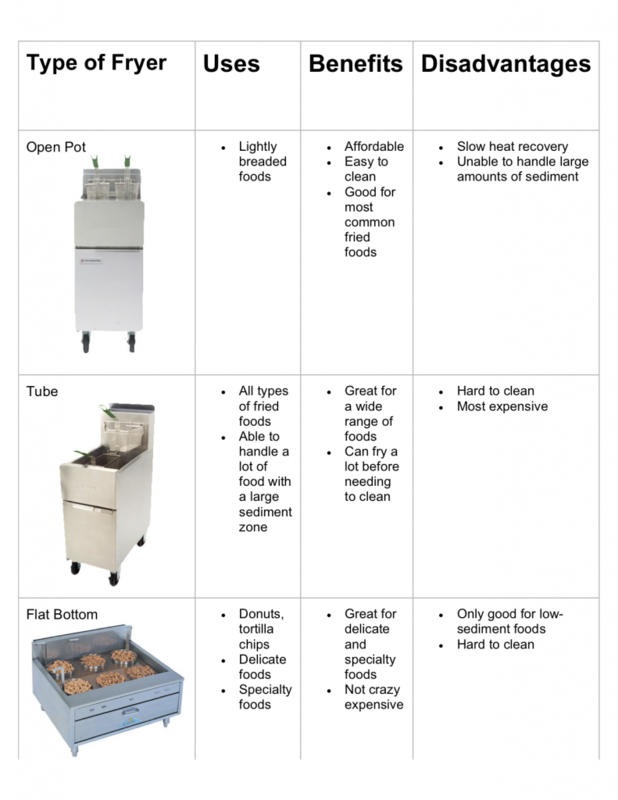 Consider whether the fryer has any feature that makes your operation more efficient and easy to use. 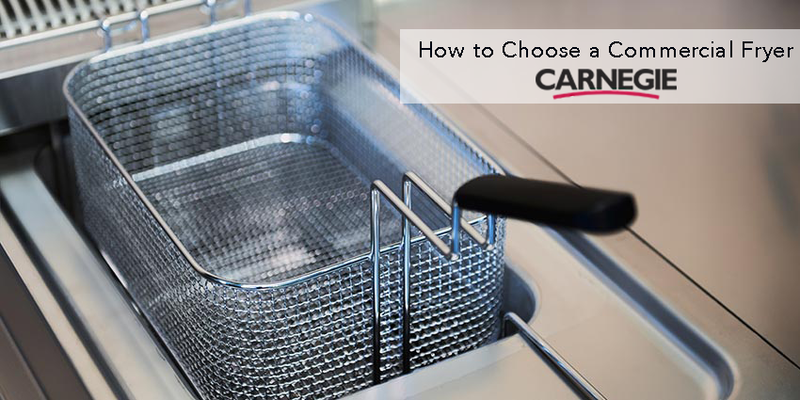 Ease of Cleaning – Not all fryers are built the same when it comes to cleaning and keeping your fryer clean can certainly ensure a longer longer life. Open pot fryers are easier to clean than Tube and Open Bottom fryers.